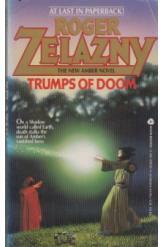 Trumps of Doom by Roger Zelazny Sci Fi. Trumps of Doom by Roger Zelazny Sci Fi. Book is in a good condition, all pages intact. This is a new amber novel, on a shadow world called earth, death stalks the son of Amber's vanished hero.